Prime Energy Group offers crawl space solutions for both new and existing homes. A properly closed crawl space avoids all of these problems. The floor of the space is sealed with a specially designed vapor barrier that is sealed to the walls and piers of the foundation. The insulation is applied at the perimeter walls and offers a continuous R-Value. Conditioned air from the home is then supplied to the crawl space, ensuring a clean dry space. In new construction, a closed crawl space can make all the difference to the health, efficiency, and longevity of the home. By using proven building science and code-supported techniques, we ensure that the crawl space becomes a part of the overall building envelope. Keeping the crawl space in the envelope is the best method of controlling moisture and indoor air quality. A properly closed crawl space also allows the HVAC unit to remain in the envelope, which is critical for overall performance. For existing homes, Prime Energy Group offers solutions tailored to meet your home’s needs. Our solutions can range from remediating moisture problems to closing and bringing the crawl back into the thermal envelope. Contact one of our BPI-certified building analysts for an in-depth evaluation of your home’s crawl space. Contact us today for moisture barrier and crawl space insulation for your Raleigh area home! 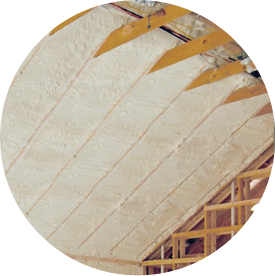 Prime Energy Group is proud to be a leading installer of spray foam insulation. 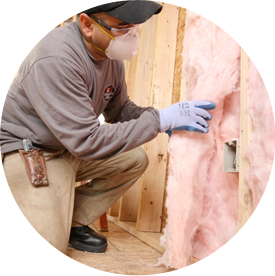 Our team can help you save money with a home energy audit and air sealing services. You are about to leave this Prime Energy Group and enter a third-party site. Prime Energy Group and Installed Building Products have no control over, and accept no liability, obligation, or responsibility for, the contents or performance of other websites. Any such link does not constitute an endorsement or any representation regarding, the linked website, its content, its owner, its performance, its owner’s products or services, or any forward-looking statements found in.